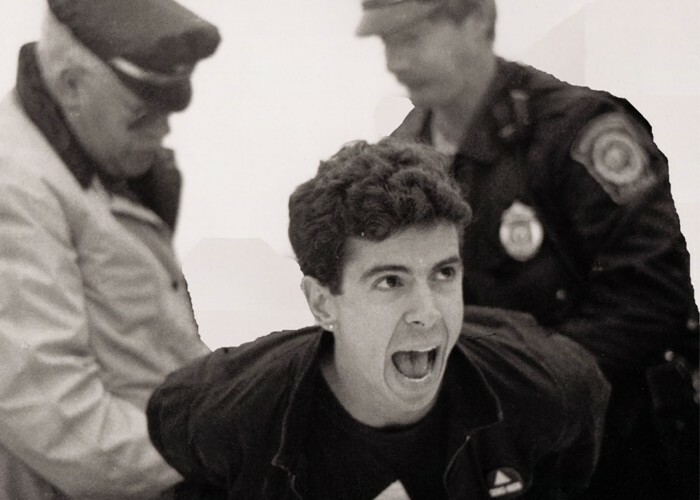 David France’s acclaimed documentary How to Survive a Plague is a fascinating and emotionally powerful look at the AIDS epidemic and the activists who demonstrated and demanded that governments, health organizations, the medical community and the pharmaceutical industry all needed to step up and fight the onslaught of HIV/AIDS in the 1980s and 90s. His first film, it won accolades (the Peabody/the Director’s Guild) and nominations (the Oscar and Emmy) and captivated audiences around the world. France returns to his roots as a writer and has adapted his film into a book of the same name from Knopf to be released on November 29, 2016. Expanding on the material in the film, it’s a sprawling decades long story of the fight to tame AIDS from a killer to a managed disease and early reviews are already comparing it to the late Randy Shilt’s seminal early AIDS history, And the Band Played On. 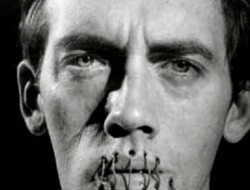 How to Survive a Plague: The Inside Story of How Citizens and Science Tamed AIDS is, essentially, the second part of that story started by Shilts (who himself died of AIDS in 1994). The director/author will be in Seattle on Monday, November 28 on a tour to promote the publication and will give a reading/lecture entitled “The Battle Against AIDS in America” at Town Hall, 1119 8th Avenue at 7:30 pm. Tickets are only $5 (really, folks…Town Hall events are one of Seattle’s greatest cultural treats as well as a great bargain…they host a wide variety of terrific events. There’s something for everyone at some point in the year.) Snag them HERE. It should be noted that with the election of Donald Trump, we could probably learn many lessons from “How To Survive A Plague”…the demonstrations in the days since the election have shown that public protests and civil disobedience are going to be needed to survive this new kind of conservative “plague” which could see the dismantling of public health programs in addition to general revisions/retractions to recently acquired civil liberties for the LGBTQ community. 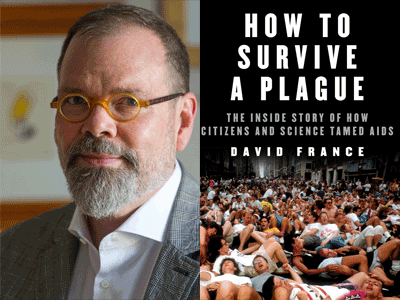 David France’s powerful 2013 documentary, “How To Survive A Plague” is now a book, out November 29, 2016. Mr. France will speak at Town Hall Seattle on Monday, Nov 28th. The definitive history of the successful battle to halt the AIDS epidemic from the creator of, and inspired by, the seminal documentary How to Survive a Plague. A riveting, powerful telling of the story of the grassroots movement of activists, many of them in a life-or-death struggle, who seized upon scientific research to help develop the drugs that turned HIV from a mostly fatal infection to a manageable disease. Ignored by public officials, religious leaders, and the nation at large, and confronted with shame and hatred, this small group of men and women chose to fight for their right to live by educating themselves and demanding to become full partners in the race for effective treatments. Around the globe, 16 million people are alive today thanks to their efforts. 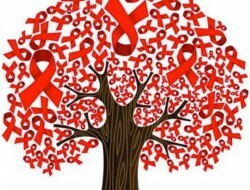 In the dark days of 1987, America was six years into the AIDS epidemic, a crisis that was still largely being ignored both by government officials and health organizations — until the sudden emergence of the activist group ACT UP in Greenwich Village, New York, largely made up of HIV-positive participants who refused to die without a fight. Along with TAG (Treatment Action Group), and emboldened by the power of rebellion, they took on the challenges that public officials had ignored, raising awareness of the disease through a series of dramatic protests. More remarkably, they became recognized experts in virology, biology, and pharmaceutical chemistry. 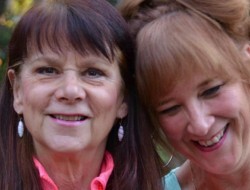 Their efforts would see them seize the reins of federal policy from the FDA (Food & Drug Administration) and NIH (National Institutes of Health), force the AIDS conversation into the 1992 presidential election, and guide the way to the discovery of effective AIDS drugs that turned an HIV diagnosis from a death sentence into a chance to live long and healthy lives. David France is an award-winning journalist and bestselling author who has been writing about AIDS since 1982, beginning in gay community papers. 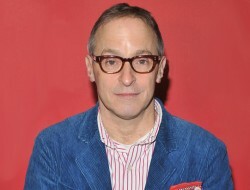 Today he is one of the best-known chroniclers of the epidemic, having continued in The New York Times, where he was AIDS news writer in the 1990s; Newsweek, where he was senior editor for investigations until 2003; and GQ and New York magazine, where he is a contributing editor. 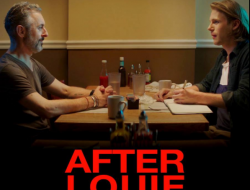 France has received the National Headliner Award and the GLAAD Media Award, and has seen his work inspire several films, most recently the Emmy-nominated Showtime film Our Fathers based on his book about the Catholic sexual abuse scandal. He also coauthored The Confession with former New Jersey governor Jim McGreevey. His documentary film How to Survive a Plague was an Oscar finalist, won a Directors Guild Award and a Peabody Award, and was nominated for two Emmys, among other accolades.